Macy Williams being sworn in as National Jr. Beta Vice President. On June 25, two buses filled with Jr. 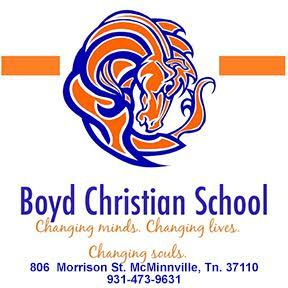 Beta Members from all six of Cannon County’s Elementary Schools left for National Convention in Louisville, KY. They arrived home on Tuesday, June 29 carrying several awards and honors for our system. well as the National convention next June. She is the daughter of Marty and Kim Williams. Morrison: Bailey Sims. When awards were announced on Tuesday, the Amazing Macy skit placed fourth in the nation out of forty other campaign skits. Among the competitions at this year’s National Jr. 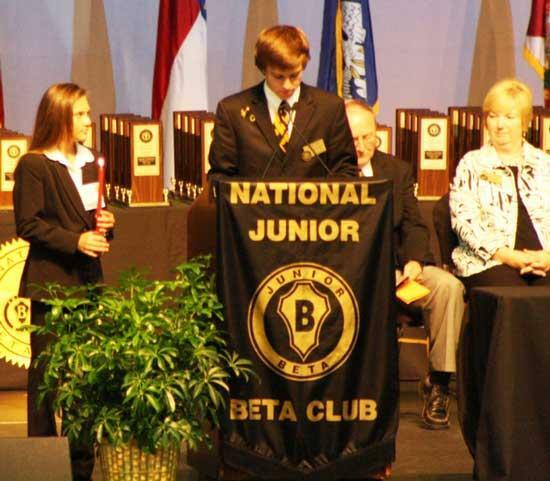 Beta Convention was the popular Living Literature. Schools must choose a children’s literature book, build a set, dress student’s in character, then students must sit completely still while being judged. The effect is that of a wax museum. This year, West Side Students, faculty and parents worked extremely hard to present “The Borrowers”, a book about small people who live under the floor and borrow things from the humans above. Jake Burdick, Samantha Lehew, Autumn King, Jacob Nave, and Elleana Sissom participated in the presentation and were awarded 1st place in the Nation for the first time in school history. After winning first place at State Jr. Beta Convention, East Side student Case Isenhart submitted a cedar chest that he worked on for almost a month into competition at this year’s national Beta Convention. This was a section of the arts and crafts section and Case’s chest was met with several stiff competitors. The chest earned second place and Case was also presented a trophy in front of the entire Beta crowd. There was not a dry eye in the convention center after Cannon County High School Freshman Hunter Brown gave his retiring address entitled “Whose Challenge is it Anyway?” In his speech, Hunter traced the lives of a couple named Tony and Sonya as they sought answers and help for their young son,Anthony, who was struggling with the effects of Autism. Hunter shared the frustration and heartache that goes along with trying to help a child be normal in a world where others may not understand. Near the end of his speech he shared that he had brought Tony, Sonya and their daughter, Lauren, along with Anthony so that the crowd could see the face of Autism. As Hunter left the stage, another Beta officer introduced the family as “Tony, Sonya, Lauren and your current National Jr. Beta President, Anthony Hunter Brown!” Hunter concluded the speech by saying that he didn’t remember most of those trials and brought along humor to put the crowd at ease with his condition. He shared how he felt that it was God’s challenge to help his family and himself embrace this trial, and that is where they drew the strength to overcome their struggles. Many in the crowd felt that Hunter’s speech was the hands-down highlight of the convention. Cannon County students are the best in the nation, and they prove it once again! What an honor to know and share in the lives of these young people. I rest assured that the future of our county and our nation is in good hands. Stories like these should inspire us all to support the young men and women of our county. So good to see our youth in a positive way!